When you consider dieting should be a part of your life, that’s the precise moment when you feel like getting rid of all the fatty foods. Discarding the chocolates from the freezer or restraining yourself against the temptation to eat junk food will not totally help you get that perfect shape. You have to think of a fitness plan and healthy protein bars have to fit somewhere in that plan. Though healthy protein bars come under the category of quick meals or snacks but they are more than that. Besides providing you meal supplement, protein bars give you a good count on caloric intake. But all the other quick meals may not be that healthy. Do quick meals add more fat? You have to stay more alert and cautious while shopping for quick meals. Because when you are desperate to lose weight, there are people desperate to fool you. When you are looking for organic foods to help you achieve your goal of weight loss, you can get some food items that are perceived to be healthy but in reality they are worse than junk food. 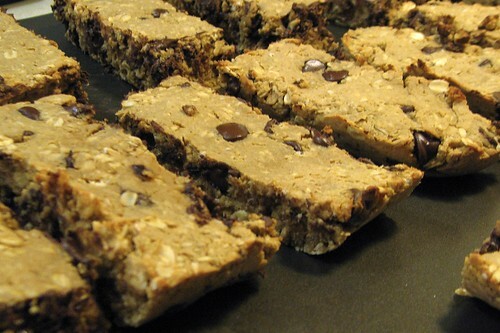 Healthy protein bars can act as good alternatives when you wish to keep a check over your caloric intake. When you are determined to lose weight, it’s important to note that skipping your meals is not an option. It must be further realized that breakfast is the most essential meal of the day. Grabbing a muffin or taking a bowl of cereal considering that they are the best choices for food can take you away from your goal. To tell you the truth, a muffin is nothing more than a cupcake without frosting and it will interest you to know that it contains more calories than glazed donut. So if you are serious about your fitness plans, you might want to give up the idea of buying a muffin next time you are in a coffee shop for breakfast. And seriously, who on earth ever declared smoothies are healthy? It might not be a surprise to know that they are often placed in the shrine of healthy foods. If you tell someone that you often go to a smoothie bar, they will believe that you are health cautious or have a serious commitment to nutrition. The reason why smoothies don’t make a healthy food is because they are rich in calories and sugar laden. It’s the high fructose content, or the use of whole milk yogurt that makes them a possible health risk. But fruit drinks without additional ingredients will still help you achieve weight loss. Also, Use healthy protein bars in your breakfast or as meal replacements to feel the difference. The moment our stomach growls, we wish there was something organic yet tasty to silence it. In reality, we do not always have access to healthy foods especially when we are in a rush or on the go. Healthy protein bars will serve the purpose when you can’t get wholesome meals. Katy is a writer, blogger and fitness expert. Ask her anything about health and fitness and she would love to share some valuable information. Refer to more of her articles for help on fitness, elite sports and a healthy lifestyle. She is an avid blogger who is deeply motivated by exercises and modern fitness tools to stay in shape. Reading through her articles is an exhilarating experience for fitness geeks.